Are you an Airsoft Technician looking for your next project? Well we've got just the thing for you! We have a ton of open box guns that were used by player personalities, used at trade shows, and guns we've used in vidoes that we simply just can't sell as new! There's full metal, rare, and high end guns that just need a new home! 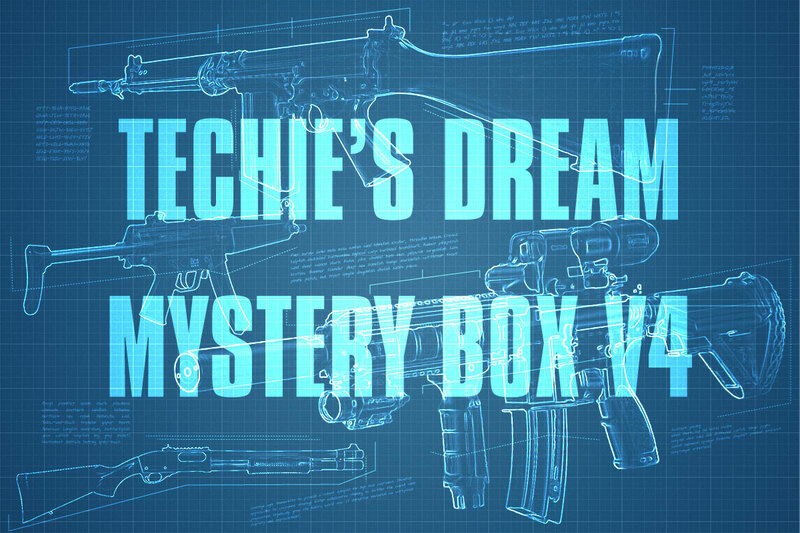 If you are looking for a new project or want to practice teching on guns but don't want to spend a ton this is THE mystery box for you! GI Michael and the marketing crew hand built all of these boxes!! All mystery items are non-exchangeable, non-refundable, not guaranteed to work, no guarantee on quality. All electronic components (batteries, chargers, motors, wire sets, etc) are assumed broken as "non-reusable E-waste trash". Mystery bone yard items are randomly selected. We do not offer any custom "pick" on mystery items. It is sold as is. We do the very best that we can to randomize the entire process of the mystery box creation. Nevertheless, there is still a probability that if multiple boxes are purchased that duplicate items will be received. In order to maintain the integrity of the mystery box and make it fair to all who participate, no refunds or exchanges will be made for mystery box items. Thank you for your understanding. This mystery box NOT Canadian Compliant. Got 2 akÂ’s from 1 techies v4 dream box. One was an all plastic lancer another looks to be an all metal ak74 classic army. The lancer had broken plastic parts but was operational while the classic armyÂ’s inner barrel, hopup and gear box were damaged. Swapped all the internals from the lancer into the classic army and now in business. Have to buy magazines now and miscellaneous parts, Not a big deal.